Poet, songwriter, musician and Tai Chi expert Lou Reed died recently. Famous for catchy tunes such as Do the Ostrich, Cycle Annie, Sister Ray and accessible albums such as “Berlin”, “Metal Machine Music”, “The Raven” and “Lulu” with Metallica. His solo albums along with those by the VU, Nico, John and Maureen make up about 25% of my record collection. Another end of an era. PS: There seems to be some confusion about the true spelling of his name. Various blogs and Wikis say it was Lewis Allan Reed, whilst the obituaries in The Times and The Telegraph say it was Louis Alan Reed. Who is right? In the 1980s Dez Skinn thought it would be a good idea to revive the old L. Miller/Mick Anglo character “Marvelman”. Alan Moore along with Garry Leach and Alan Davis produced some well-received strips in “Warrior” that updated the character without completely discarding the more light-hearted 1950s stories (which now became “dreams” fed to the subconscious mind of the unconscious Michael Moran). But Dez had opened a can of worms about who actually owned the trademark of “Marvelman” that would rumble on for the next 25 years. It’s so complicated you could write a book about it. George Khoury did, and inevitably had to title it “Kimota” !! Miracle Man 09 Thorpe and Porter/Top sellers 1965? Today the american Marvel Comics/Disney own the rights to “Marvelman” having purchased them in 2010 from Mick Anglo (1916-2011) who had owned them all along. Who owns the rights to “Miracle Man” now though??? Marvel Comics are due to reprint the Warrior/Eclipse “Miracleman” material in the new year. 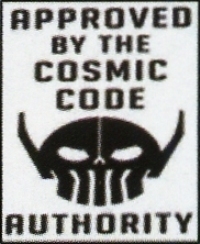 Presumably then Marvel/Disney have purchased the rights to the Eclipse material from either Neil Gaiman or Todd McFarland or whoever won their protracted court battle. I hope the “new” reprints will be in colour and I hope they will restore the character back to his original name. For as long as I can remember I’ve purchased the magazine “The Spectator”. But 30 years is nothing. I doubt there can be many other publications on the planet that have appeared weekly since 1828 !!! I recently found this issue from 1927 in an Antique/Junk shop. 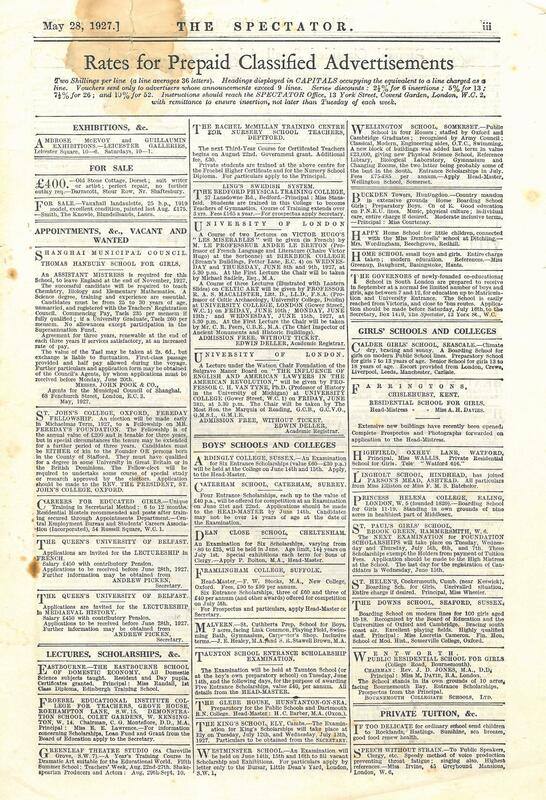 The front sheet/cover contains all the adverts and can be removed to reveal the proper front cover. I like the advert for the portable radio. Only portable if you had a burly butler or chauffeur to carry it for you! Amazing that regularly broadcast radio programmes had only begun five years earlier in 1922. The first “wireless sets” for the home needed an aerial and an earth wire often along with a seperate power supply. By 1927 Rees-Mace have designed a “modern” all-in-one unit. 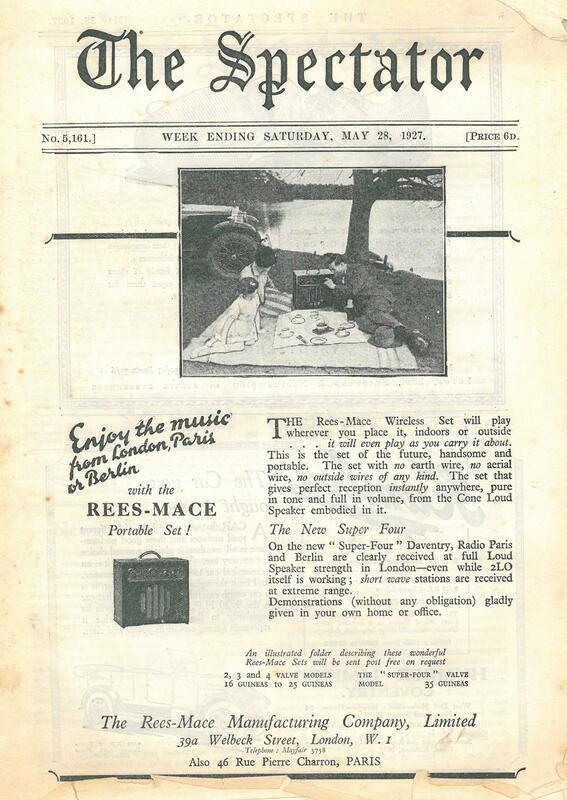 Interestingly, Harry Roberts of Roberts Radios fame began his working carreer at Rees-Mace. PS: Only in “The Spectator”. A recent issue contains a letter with the fascinating information that Iggy Pop and team recorded the legendary “Raw Power” LP at CBS Studios in London in 1972 fuelled by Harveys Bristol Cream Sherry !!! PPS: Hours minutes seconds of fun can be had reading the Classified ads. A girls school in Shanghai is seeking an “Assistant Mistress” to teach a wide range of subjects. The applicant must be between 25 and 30 and unmarried!! The wages are 235 Taels per mensum (whatever a mensum is (?!?). It goes on to say that a Tael is approx 2s 6d but is liable to fluctuate. Therefore does that make the pay to be £30 per term ?? PPPS: Visit http://archive.spectator.co.uk/ and you can browse through a mind-boggling 180 years worth of back issues. I can’t count dept: Here is number 22 in a series of 20 audio files. It’s not as good as 14 or 15 but it’s better than 12.5. And it’s only available whilst stocks last. Thanks to the original uploader for this. Evidently kids in the 1940s were smarter than I am now. I’ve just printed these sheets out on A3 and spent half an hour wrestling with this. With scissors and sellotape I’ve managed to produce something that resembles the Big Red Cheese…. I’m spring cleaning my “Box” account to make room for more fab stuff. So anything that hasn’t been accessed for a while is being deleted. I chanced upon this audio file which I uploaded years ago along with a “quiz”. I don’t usually repeat myself, but I’ve just listened to it again for the first time in 4 years (doesn’t time fly when you’re the wrong side of 50…) and enjoyed it immensely. So the following was written way back in November 2009….. 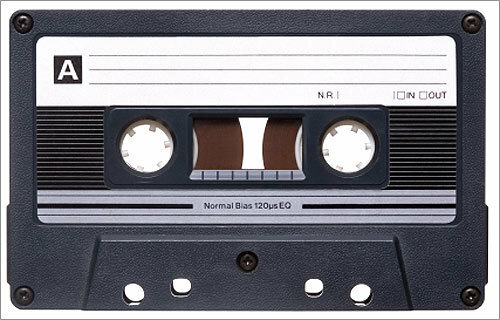 Recently listening to one of my old mix tapes even I had to pause and think who recorded the first three tracks. So here’s a tiny prize-free quiz. Can you answer these simple questions (without Googling) about these great tunes. a) Who is singing this? b) What is the title of the song? c) What is the other title of the song? d) Who sang the original version of the song? b) Who is the singer’s sister? c) Who is the singer’s father? d) What colour socks am I currently wearing? b) How many of them are there? c) Who sang the original version of half of the song? d) Who sang the original version of the other half of the song?